Terracom successfully participated at CES 2018 exhibition that took place on 9-12 January 2018 in Las Vegas, NV! CES is the world's gathering place for all those who thrive on the business of consumer technologies. It has served as the proving ground for innovators and breakthrough technologies for 50 years — the global stage where next-generation innovations are introduced to the marketplace! Spotypal - a unique open tracking system, helping you find your lost stuff or missing pets and protect yourself. 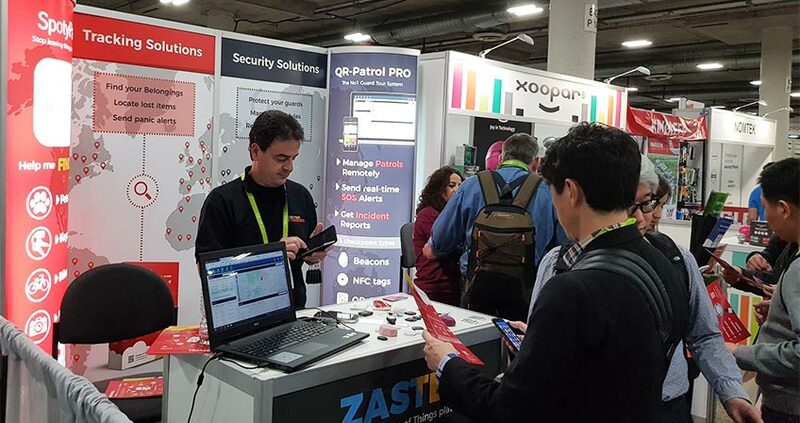 Note: Both QR-Patrol PRO and Spotypal are built on Zastel - a smart and powerful IoT Platform facilitating the development of IoT solutions and interoperability. From our part, we are very glad that we participated in one of the biggest events in the Technology field and contributed to the promotion of new innovative products.